Recipient of important awards in Spain and abroad, Angélica Liddell’s dramaturgy is considered one of the most avant-garde in contemporary European theater. 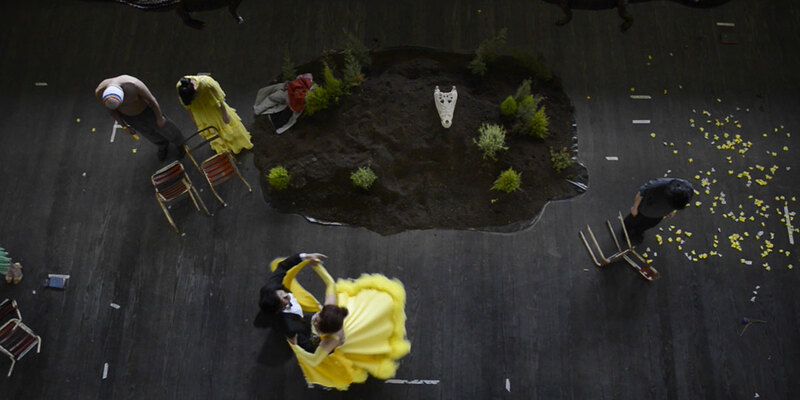 As Liddell starts working in her new play, director Manuel Fernández-Valdés decides to capture her rehearsal process on camera. The hallmarks of Liddell’s autobiographical work are social criticism, heartrending expressionism, purity and the search for meaning through pain and subversion. These characteristics affect the essence of her working method and the people who work with her. Each one of them, including Fernández-Valdés, must decide how far they are willing to go. 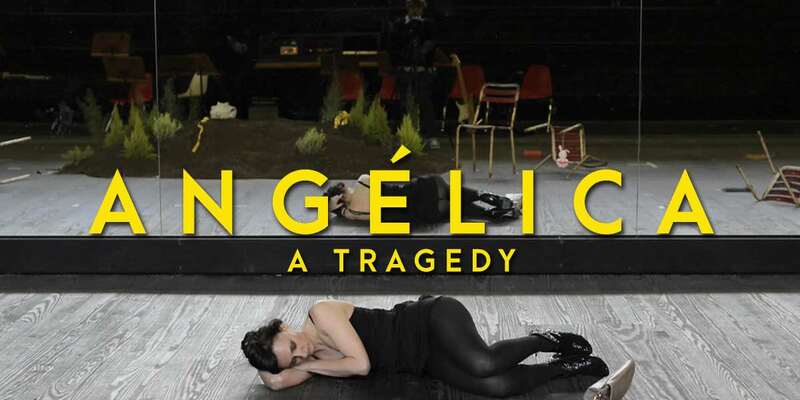 Angélica [a tragedy] is an insightful look to the theater stage process, the devotion to art, and the troubled relationship between creation and life. Manuel Fernández-Valdés (Pontevedra, 1979) debuted in 2008 with the full-length documentary Manuel y Elisa (Manuel and Elisa), award-winning at the Play-Doc festival (Tui). In 2012 he premiered his second full-length documentary Fraga y Fidel sin embargo (Fraga and Fidel after all), which was showed in Dífferent 6! L’autre cínema espagnol (Paris), Cineteca (Madrid), Alcances (Cádiz), IBAFF (Murcia), Cineuropa (Santiago de Compostela) and CGAI (A Coruña). 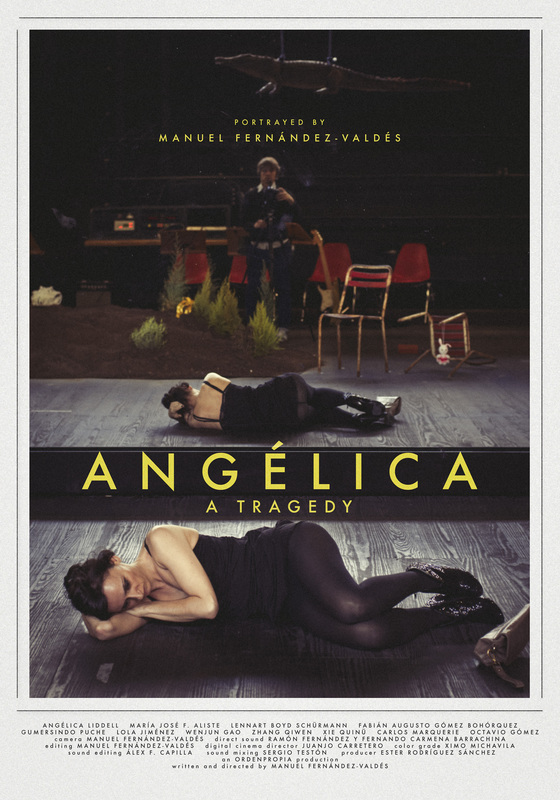 Angélica [una tragedia] (Angélica [a tragedy]) is his latest film. “Angelica Liddell has become her own character, it is impossible to separate her life from her work. She is the suicidal who never dare to commit suicide; she lives from and in her wound, amused and disgusted by it at the same time in the same way that she loves and hates herself.” – Ana Vidal Egea, Professor City University of New York, Writer “The Theater of Angélica Liddell (1988-2009)"
Angélica in not a film about how an artist rehearses her work, but of how she rehearses her life; alone in front of the mirror.